This book had been on my to-read shelf for a few years. Several people had recommended it to me in real life and on the Internet saying that I would love it. I was really excited once I got my hands on this book and decided to read away hoping that the countless people that recommended it would be right about me loving it. Truth be told, I kind of had a hate/love relationship with this book in the beginning. Some parts felt really slow and dull for me and I had to force myself to keep reading on while other parts had really peaked my interest like prank scenes. If I hadn't read on I probably wouldn't have liked the book, but it wasn't until I read the last page that I actually liked it. There were lots of underlying themes of religion, life and death, what happens to us after we die, and finding a purpose for our existence. It definitely gave me a lot to think about at times. What I really enjoyed about the book was Pudge's references to famous last words throughout the novel as a way to relate to what he was going through. It was really clever and a unique way of storytelling. 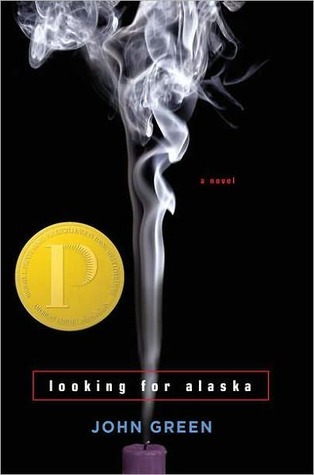 I didn't love this book but I did really like it. Without giving any spoilers, the message and moral of the story was really powerful. My favorite last words would probably have to be the ones said by my childhood hero Steve Irwin. "Don't worry, they usually don't swim backwards." They weren't witty or dark humored but they say a lot about how unexpected life can be. Steve was an animal expert and he hadn't expected to get stung by a sting ray.